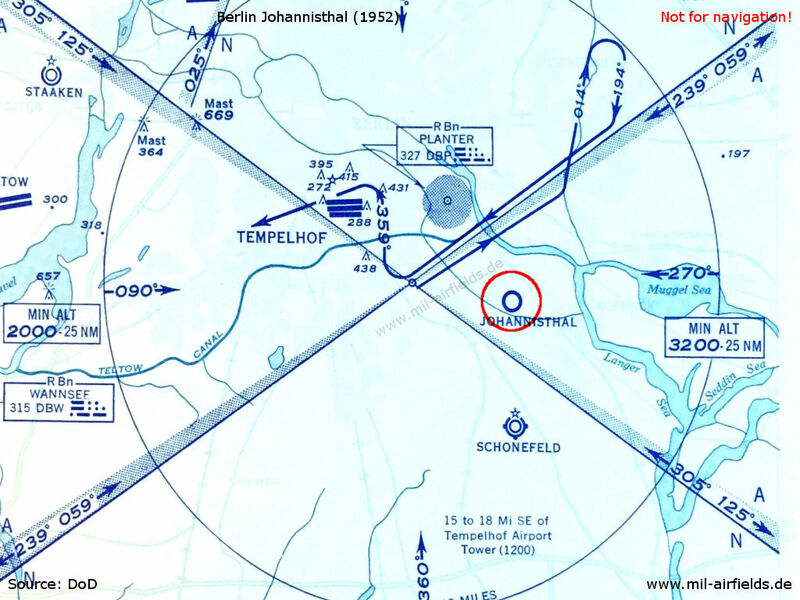 The Johannisthal airfield was opened in 1909. 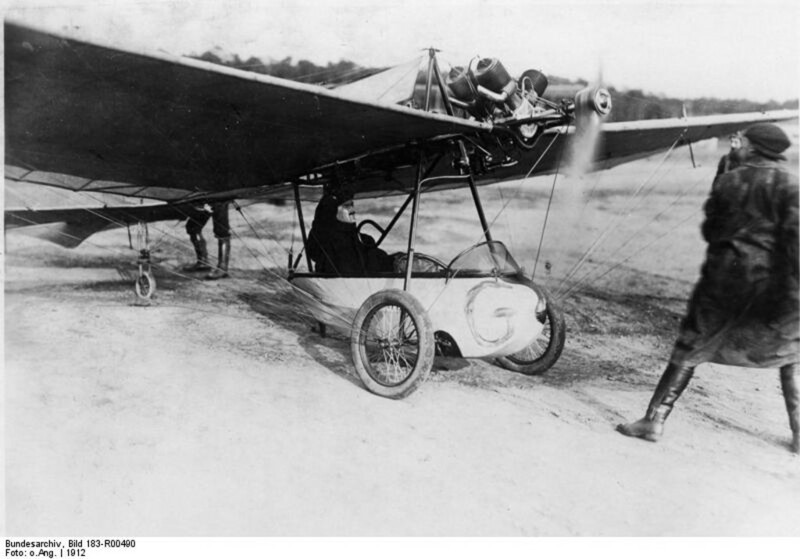 In the early days it was mainly used by flight pioneers, who tested their own aircraft. 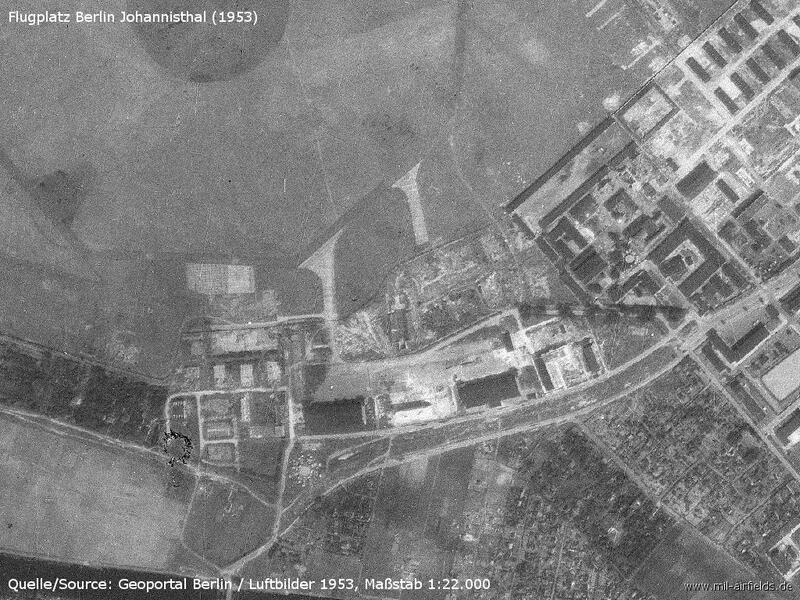 In World War I, Johannisthal was the location of numerous aircraft factories. 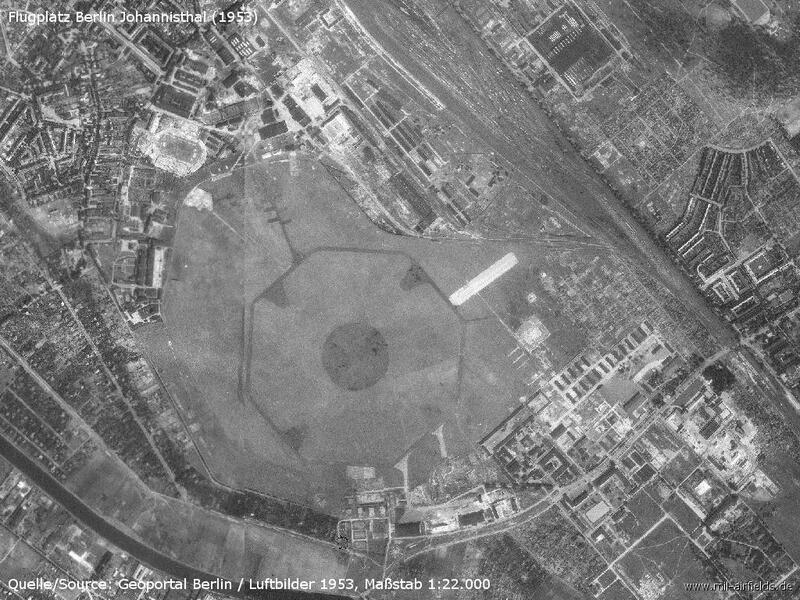 After the war, a civil aviation was established, but in the 1920s it moved to Tempelhof Airport. 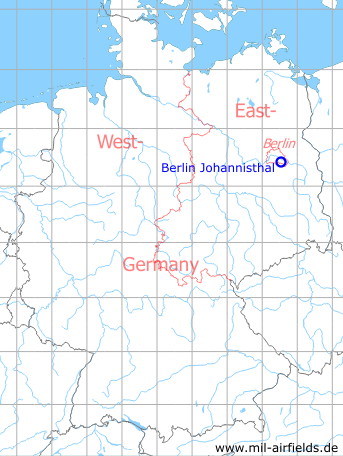 Later Johannisthal became an important location of the German Aerospace Center (DVL), which operated numerous test facilities, e.g. wind tunnels and engine test stands. After the Second World War the field was occupied by the Red Army, which used it for aviation until 1951. 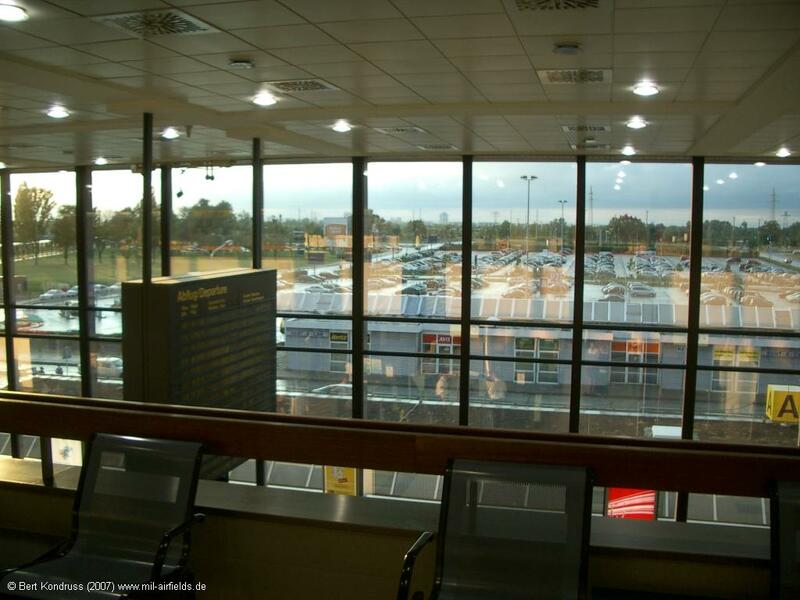 Then industry and scientific institutes settled around the airfield. The landing field itself was used as an exercise and storage area for the two surrounding barracks. With a flight day in 1995, aviation use ended finally. 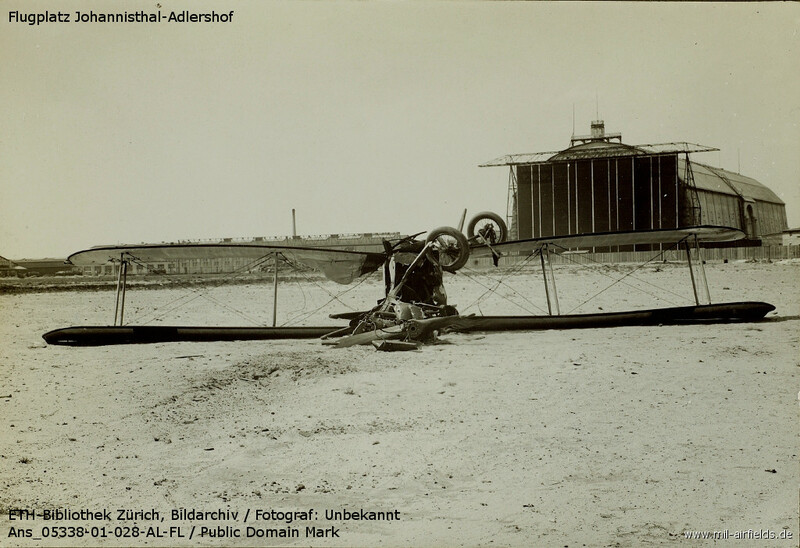 Image of the Johannisthal Air Field (Flugplatz Berlin-Johannisthal) in 1910. - Above in the air is Robert Fey in his FarmanIII, below on the ground is Amerigo with his Sommer plane before the take-off. In the background is the airship hangar. 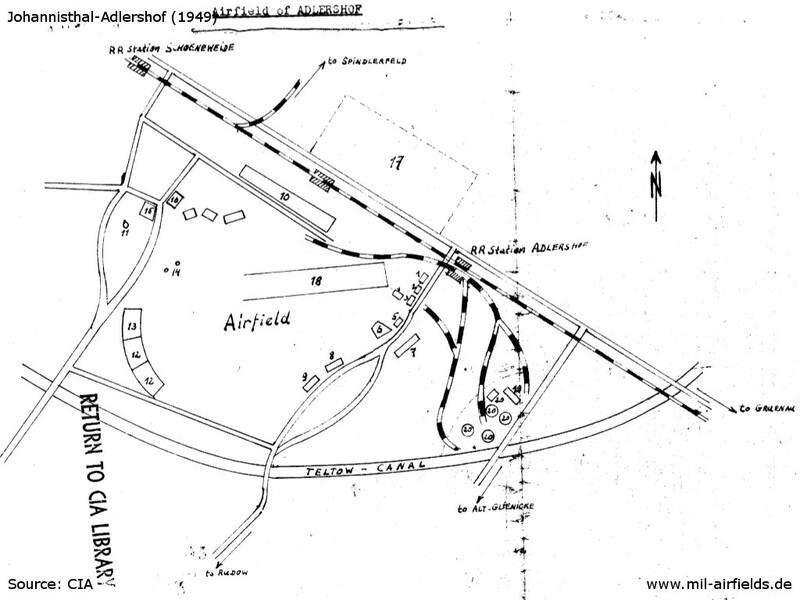 Although the field was servicable there were no aircraft parked at the ADLERSHOF (N 53/Z 94) airfield. The buildings on the southern border of the field were occupied to capacity by soldiers wearing black epaulets. 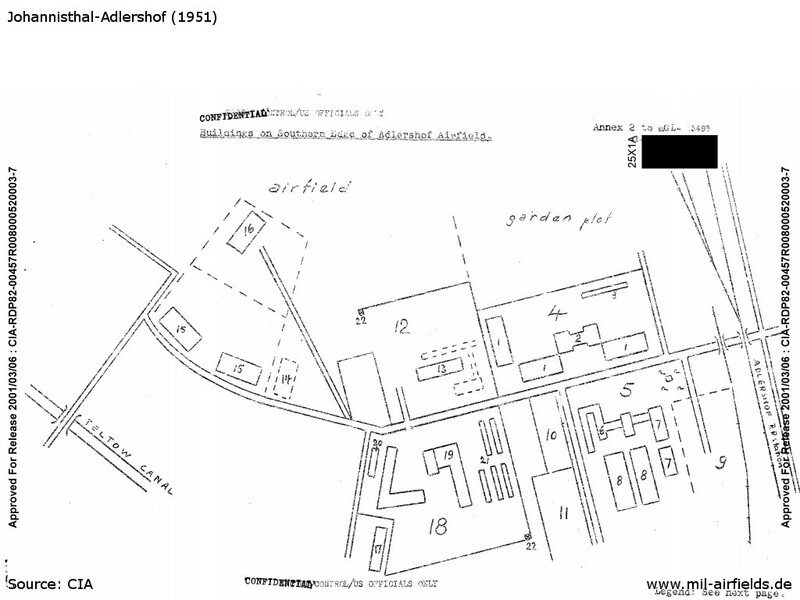 Comment: The above information confirms the previously reported occupation of the ADLERSHOF airfield by an army and an air force unit. The numerical designations of these units are not known. 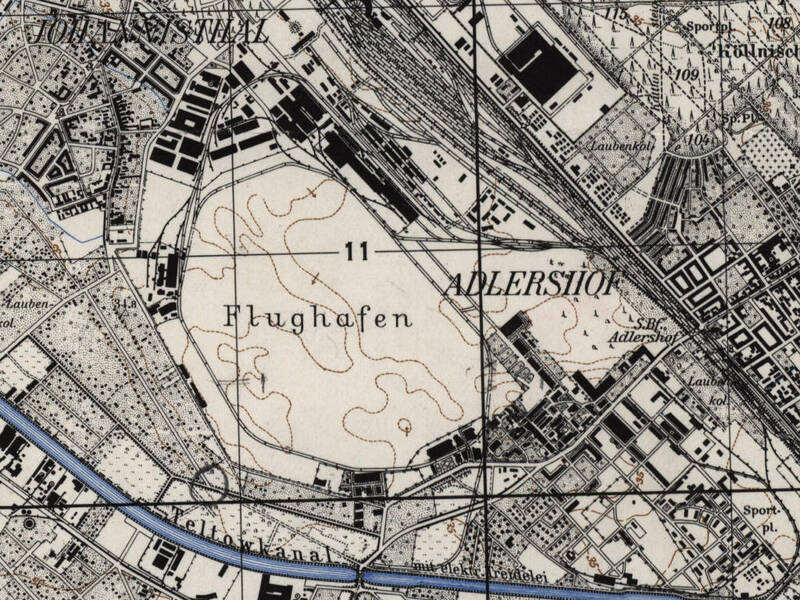 The ADLERSHOF (N 53/X 04) airfield is not occupied by a Soviet Air Force unit. 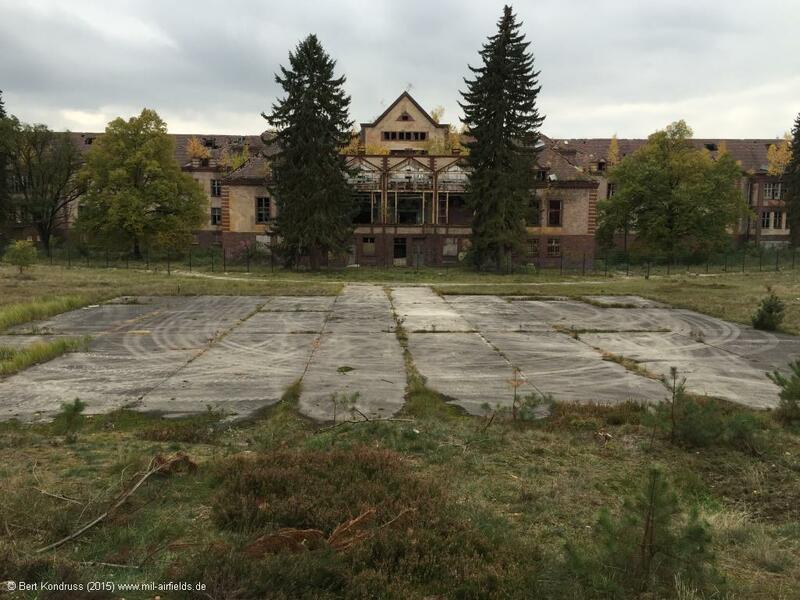 It is in a poor condition; the former testing installation (wind tunnel and engine test stands) are dilapidated. 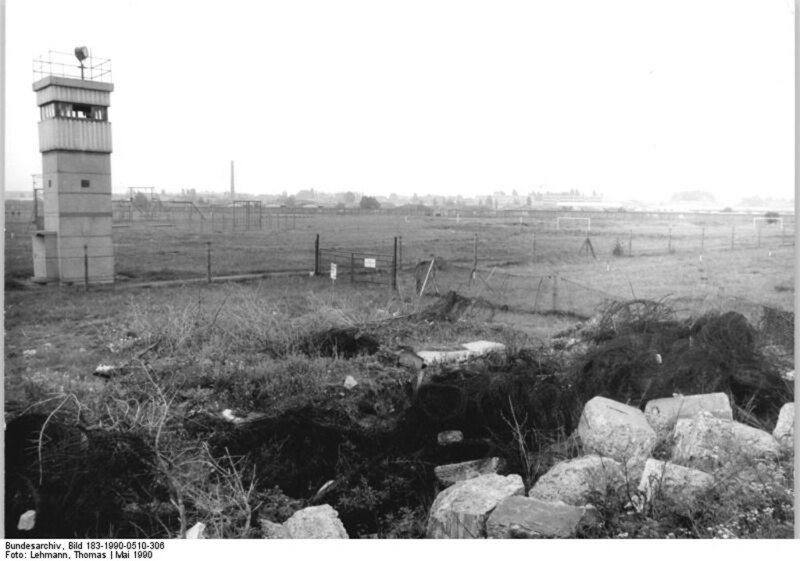 German workers are now engaged in erecting a board fence around the field. Air force motor vehicles were not observed at the field or in the vicinity. Comment: The statements on the condition of the airfield are considered credible. Information on the occupation of the field is lacking. 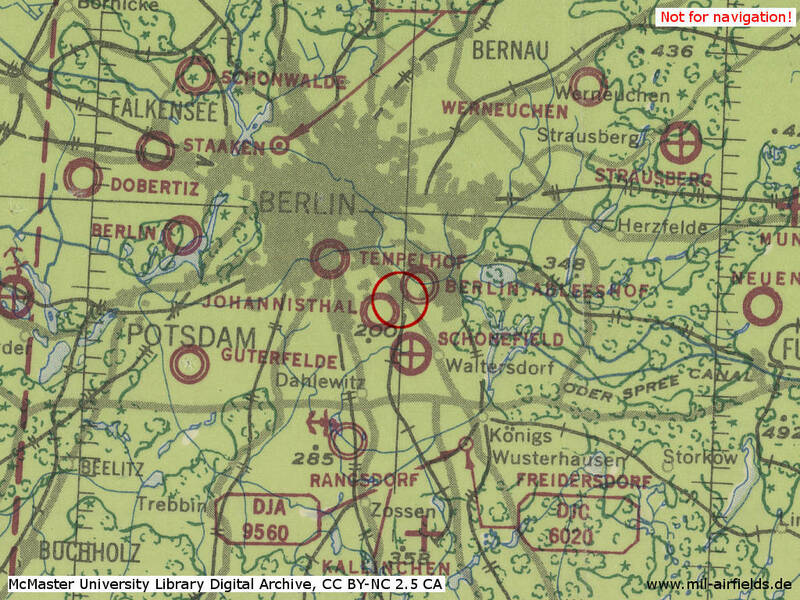 According to previous reports, a technical unit of the Soviet Air Force is assumed to be stationed in ADLERSHOF. This report does not indicate whether this unit is still there. Five DC-3s were parked at the northwestern corner of the ADLERSHOF airfield. 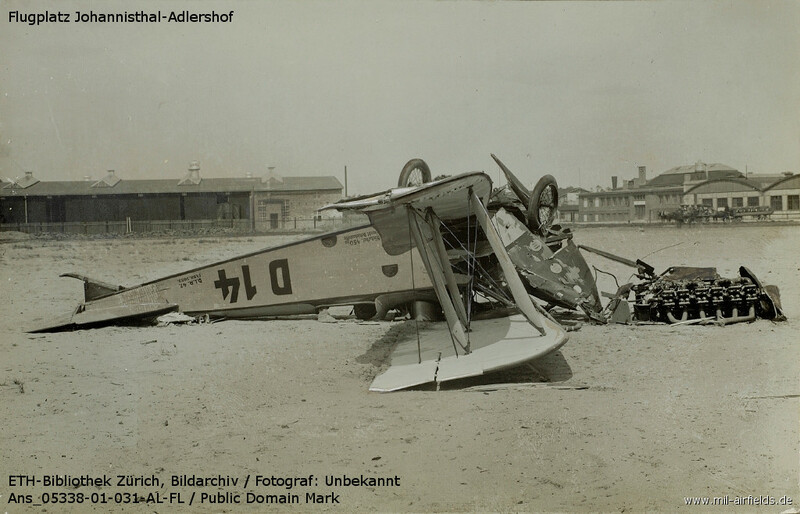 A biplane made repeated landings at the airfield. The soldiers observed at the southern section of the airfield wore red-bordered, black epaulets, while most of the officers and Enlisted Men at the northern section wore blue service color. 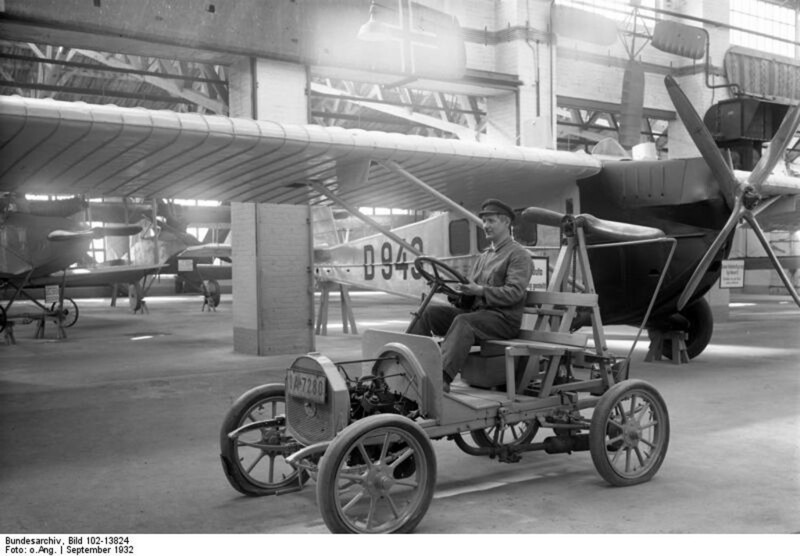 German civilian workers did repair work on individual airfield buildings ... motor vehicles observed at the airfield. 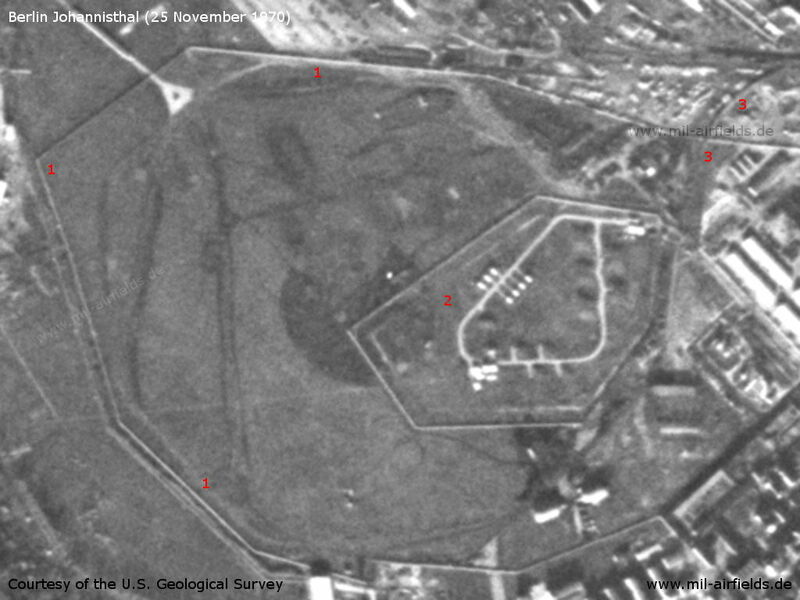 The former test station at the southern edge of the field was surrounded by a new board fence. German civilians did clearing work there. A twin-engine low-wing monoplane with single rudder assembly took off at 2:35 p.m. Comment: Another ... confirmed the existence of the new board fence around the installations of the former German test station. 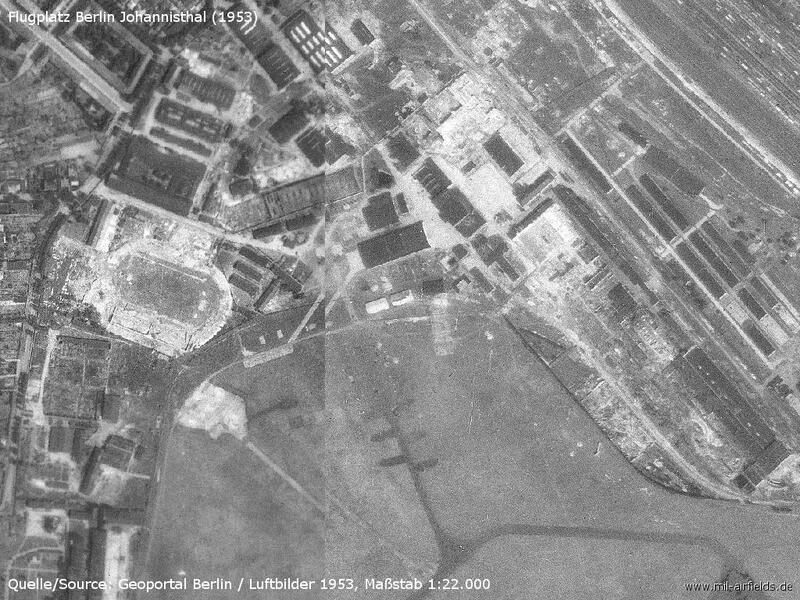 Comment: There seem to have been no changes in the condition of the ADLERSHOF airfield since 5 August 1949. No air unit is stationed at this field. According to available information, an unidentified air force service unit is located there. The Li-2 aircraft continuously observed at the field are probably courier or transport aircraft of the Soviet army. Six twin-eninge transport aircraft, probably DC-3s, were parked at the ADLERSHOF (N 53/Z 94) airfield. Another plane of the same type landed there at 2:30 p.m. Soviet Air Force soldiers and soldiers wearing red-bordered, black epaulets were observed at the field. Five covered twin-engine transport aircraft were parked at the ADLERSHOF airfield. There was no flying. 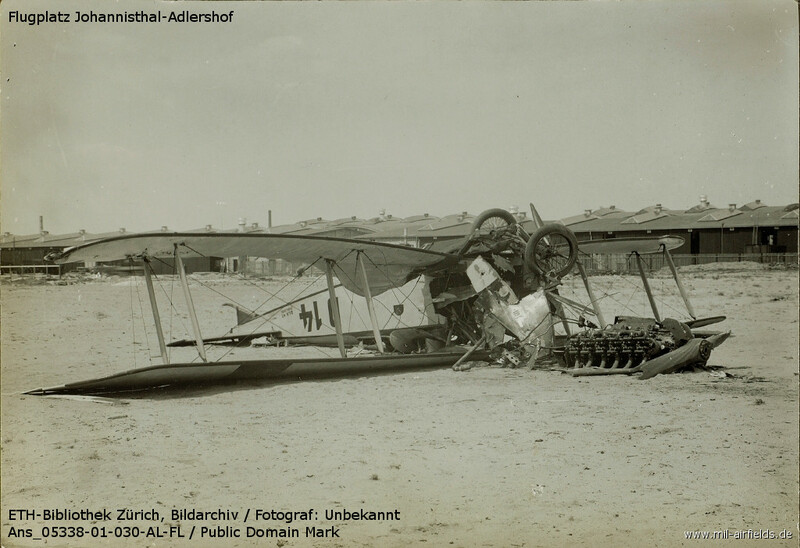 Three twin-engine aircraft were parked at the ADLERSHOF airfield. 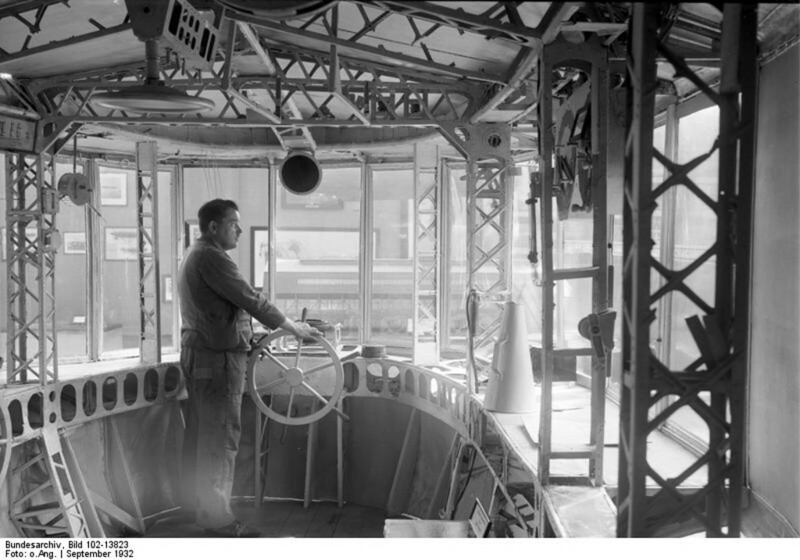 Description: Eight windows in fuselage, detached cockpit, nose projecting beyond engines, single rudder assembly. 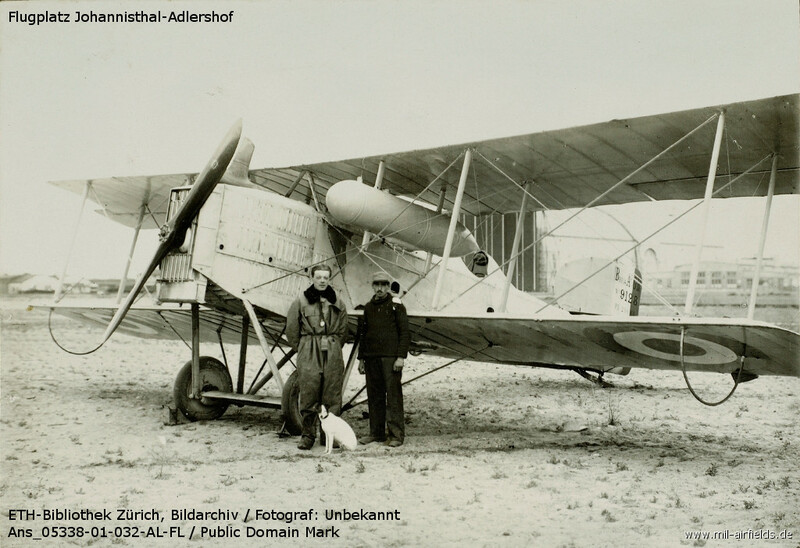 A single-engine high-wing monoplane, similar to the Fieseler Storch, landed at the field on 28 September 1949. According to an airfield worker, some biplanes were parked in the hangars. The airfield personnel totaled about 50 air force officers and Enlisted Men. 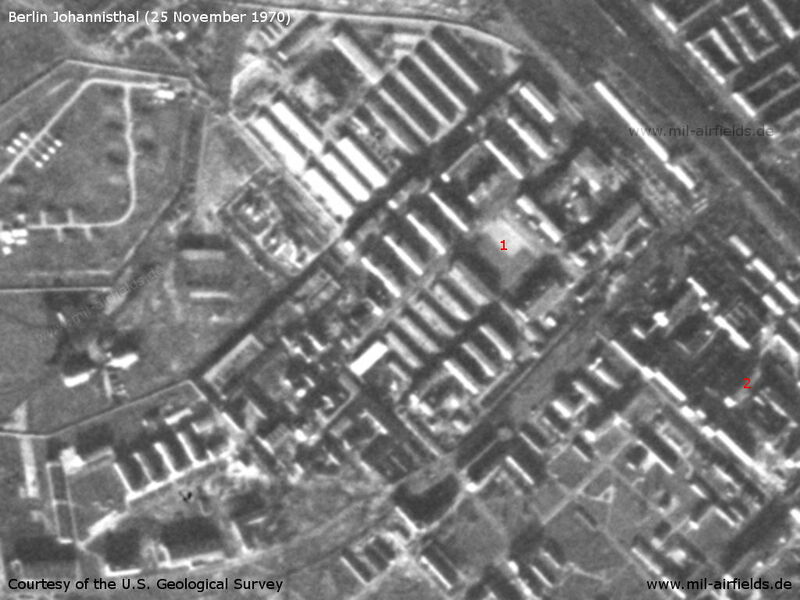 The buildings on the southern edge of the airfield were occupied by Soviet Army troops. 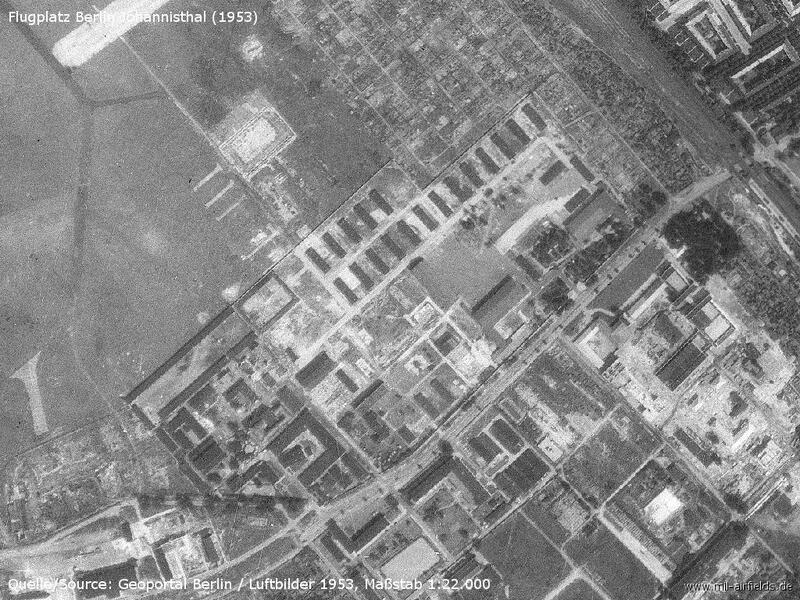 The occupation of the ADLERSHOF airfield apparently has not changed since August 1949. According to previous reports, the airfield is occupied by a technical air force unit and an army unit. The observed transport aircraft are presumably assigned to the Soviet Army. About two years after flying has ended. 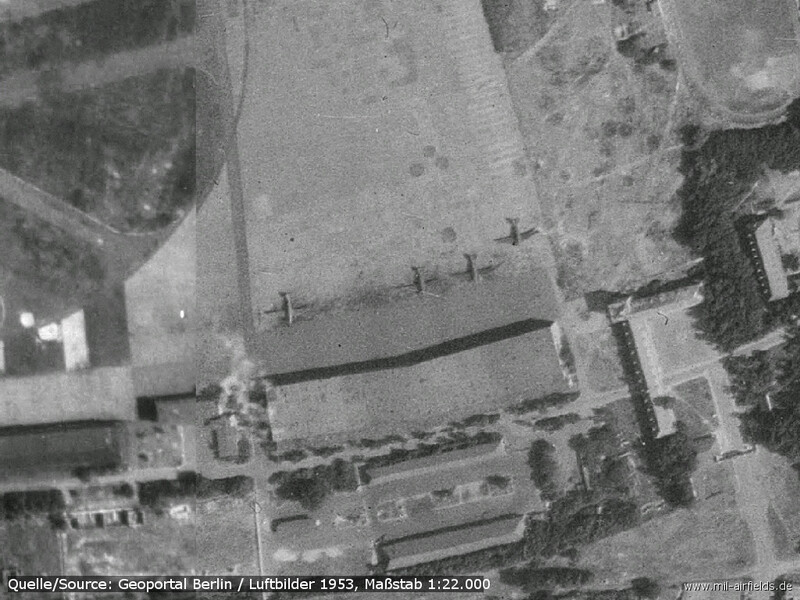 Four twin-engine aircraft with cabin windows were parked at the northeast corner of the ADLERSHOF (N 53/Z 94) airfield. There was no flying. Ambulance ... and passenger car ... were standing in front of the pilots' billets. Comment: The report confirms that no air unit is stationed at the field. Transport planes of the SMA occasionally land there. 1. Four twin-engine transports with two radial engines and gray-green paint, presumably DC-3s, were standing in front of the hangars on the northwestern edge of the Adlershof (N 53/Z 94) airfield. There was no flying between 3 and 4 p.m.
* Comment: Free German Youth members were probably only temporarily quartered in a building at the field for the whitsun rally in Berlin. ** Comment: The airfield has so far been occupoed by a technical unit of the Soviet Air Force and an army unit. The information on the occupation by a Volkspolizei unit and the transfer of the Soviet Army unit was confirmed ... The report does not indicate whether the technical air force unit is still stationed at the field in its previous strength. 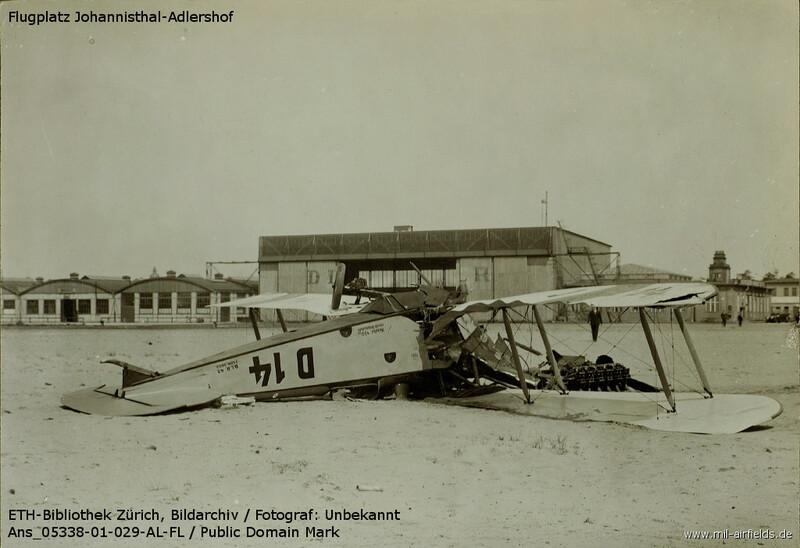 No aircraft were stationed at the Adlershof (N 53/Z 94) airfield. There was no flying. The Soviet Army motor pool was still in the buildings on the southern edge of the field which were guarded by Soviet Zone German police. No Soviet troops; an academy of science (optics and chemistry divisions) and Volkspolizei are quartered in the buildings. 3 Billets of the presidential guard; on 10 February 1951, a guard detail of 1 platoon leader, 1 deputy platoon leader, and 36 Enlisted Men was seen returning to the quarters at 6:30 p.m. 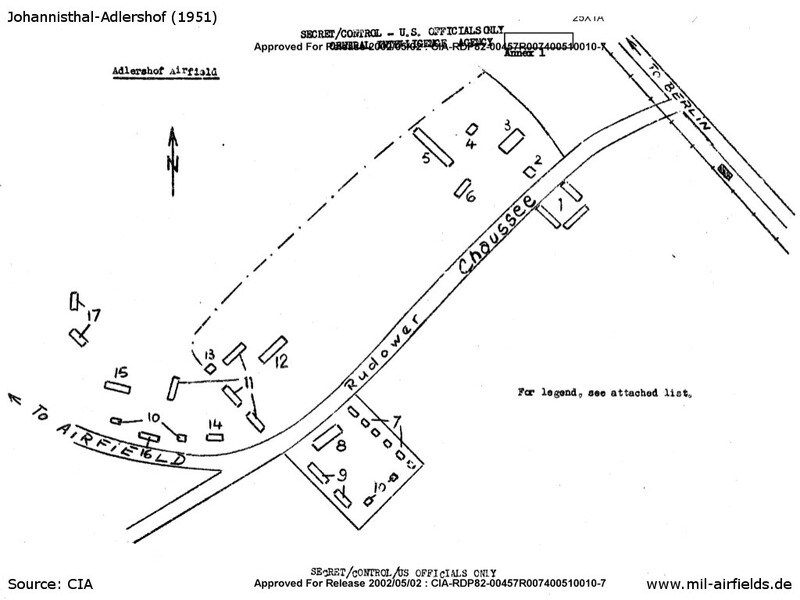 Between 12 and 21 April 1951, Adlershof airfield was not occupied by aircraft. No indications of an intended reoccupation were seen. About 1,500 to 2,000 VP-men were quartered in the barracks buildings on the southern edge of the field, where there were many motor vehicles parked in the hangars. 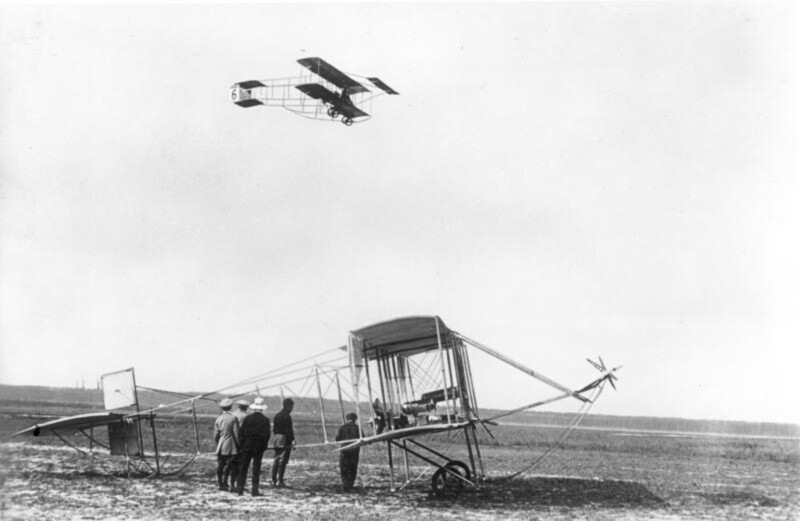 There were no indications that the VP-men were given flight training. 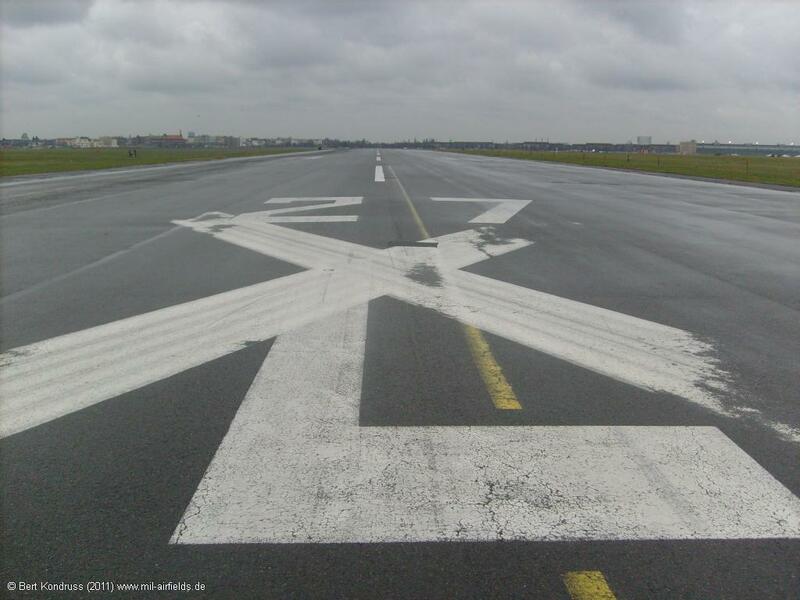 No hard surface runway, but several strips with concrete and asphalt surfaces were seen on the sodded landing field. The field was intact and about 1,500 x 2,000 meters. 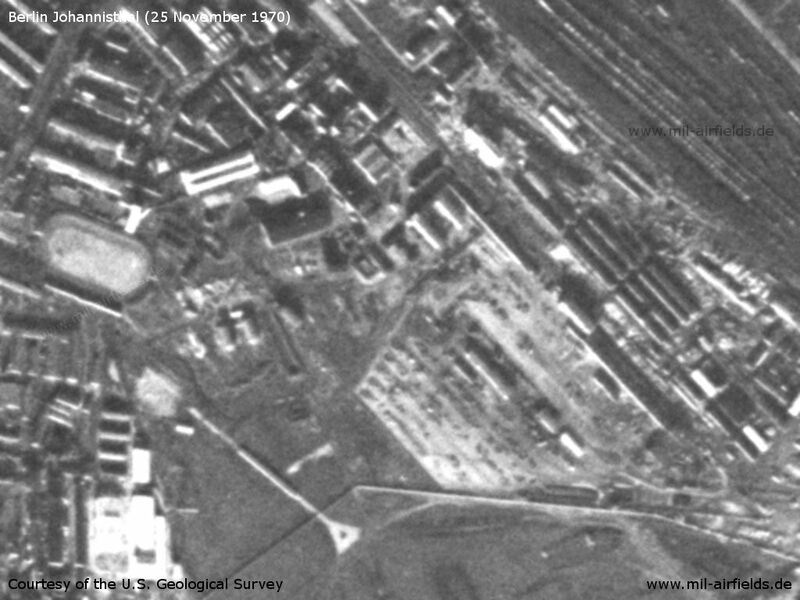 The airfield buildings, in the northern section of the field, were located within the fence around newly established industrial plants. Most of the buildings were demolished. An intact radio installation belonged to the airfield buildings. There was a wooden hut with a tower, about 12 meters high, on top of which a rod antenna, about 5 meteres high was seen. A searchlight about 60 cm in diameter was mounted on a platform. It pointed toward the landing field. * Comment: An air force unit is no longer believed to be stationed in Adlershof. The field is exclusively used by VP units. It has not been observed that these units are given flight training. 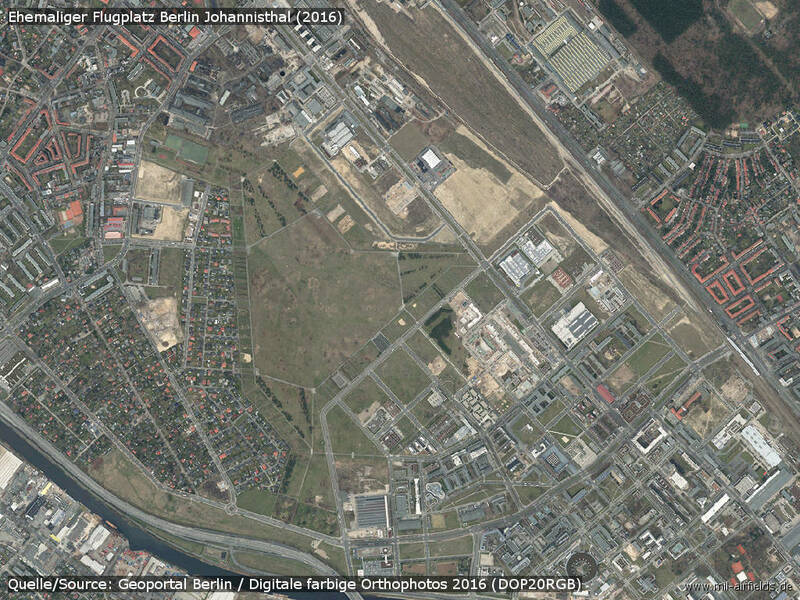 Former landing ground - Most of the former airfield is fenced in (1) and attached to the Adlershof barracks. There seems to be a separate fenced ammunition dump (2). The site has a new railway siding (3). Adlershof barracks in the south - North of Rudower Chaussee are the barracks of the Stasi ("MfS") guard regiment ""Feliks Dzierzynski" (1). In the south-east is the GDR television broadcasting (2). 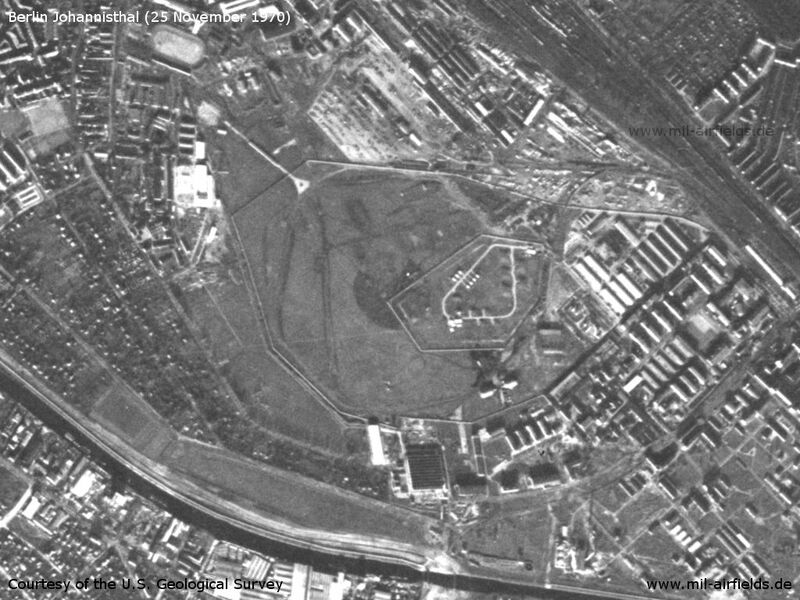 The area of the former airfield in May 1990 - Among other things, the site served as a training ground for the surrounding barracks.